You can watch the same show in the theatre more than once. By doing this, you will release that performances are changing over time. Every new performance offers a new experience to the public. That's why we can say the theatre shows live and change over time. 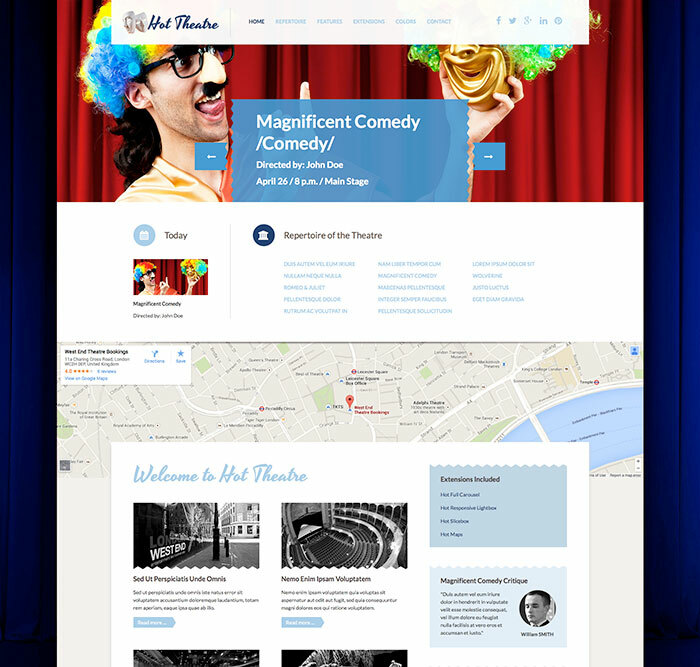 Similarly to the art of the theatre, responsive web design is an art that lives and changes... not over time, but depending on what device site visitors use to access your site. We really did our best to offer different experiences of this design on various screen sizes. At the same time, we keep the overall site design unique. 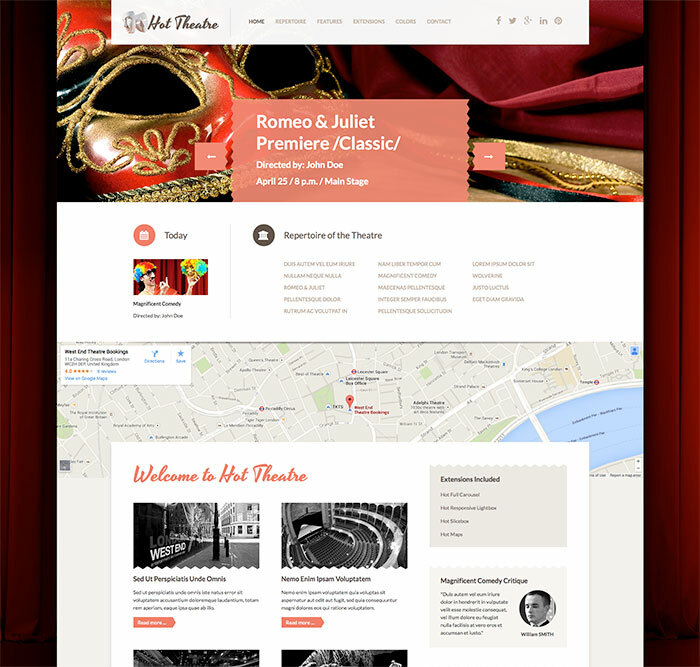 Websites of this kind should offer site visitors information of the current and prospective shows, as well as the full repertoire of the institution. The striking position on the home page should be used for the most important news (premieres). Since the theatre is popular not just between the domestic population, but also between the tourists, it's recommended to include the map in the prominent place of the site. 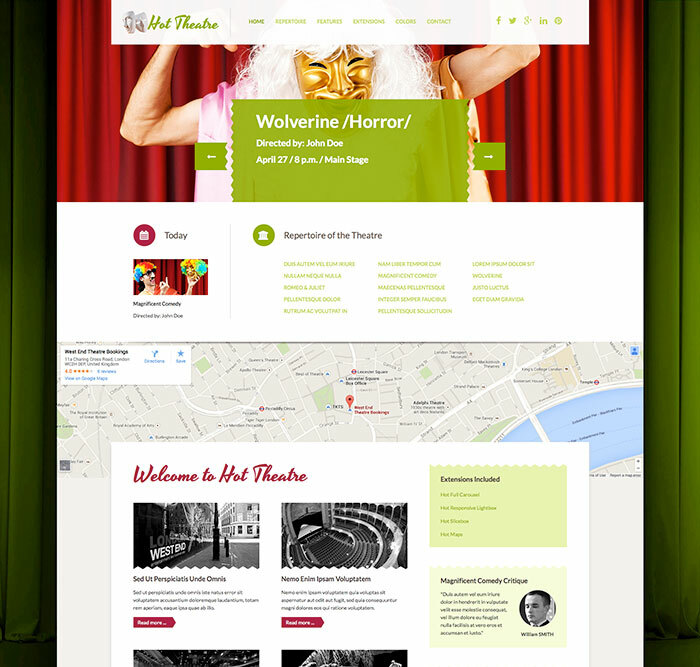 Responsive Joomla modules included: Hot Full Carousel, Hot Slicebox, Hot Responsive Lightbox and Hot Maps. All these modules are included with this template without additional fees (you save $15 per commercial module). 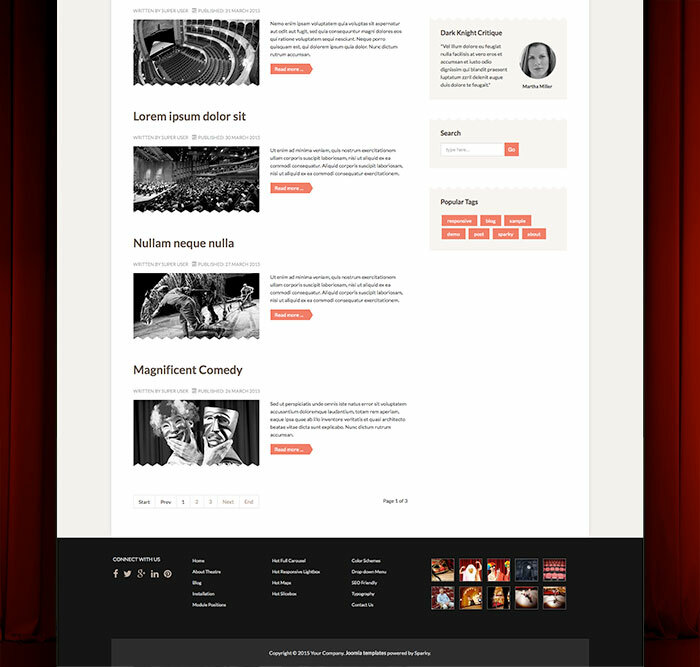 All extensions are styled and configured for this template.